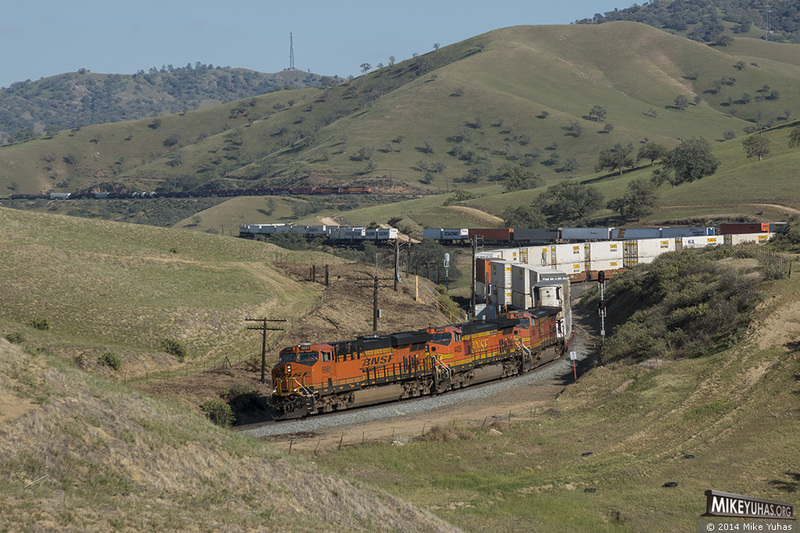 A northbound BNSF intermodal train drops down Tehachapi grade, exiting the Bealville siding. This is the first northward move of the day following a lengthy work curfew. The train just met the first southbound, the DPUs of which are seen on the grade above.